Thicker, Marble-Tech high-impact styrene/butadiene inner wall to deny entrance of moisture bonded to outer wall. Extra heavy outer wall of concrete for added strength. 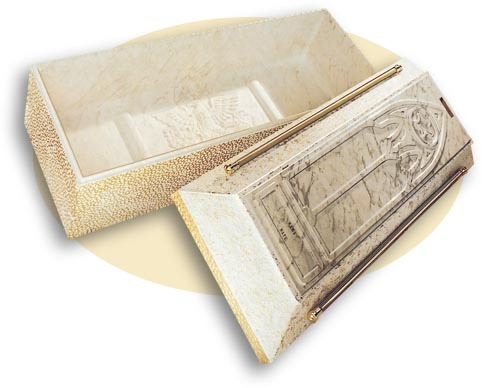 Pre-cast Marble-Tech/concrete vault cover carapace to displace grave weight stress. Has the appearance of polished marble.